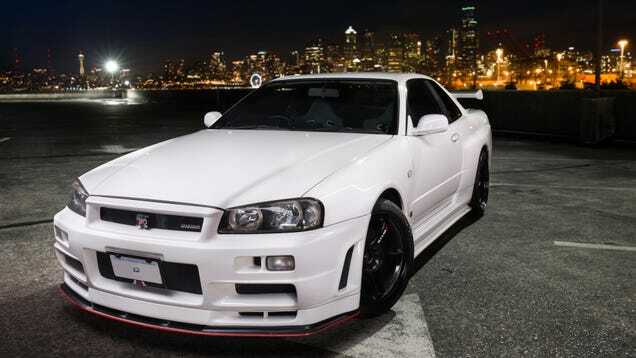 Our undying love for R34 Nissan Skyline GT-Rs will never truly be satisfied, but this pretty wallpaper of a rare 2000 V-Spec edition will do in the meantime. Only 1,200 were ever made. This one has a full Nismo body kit, HKS Hypermax IV coilovers, and rare Nismo LMGT4 wheels—and we like it.